Some of the most flavorful food this island has to offer—for less than 10 bucks. 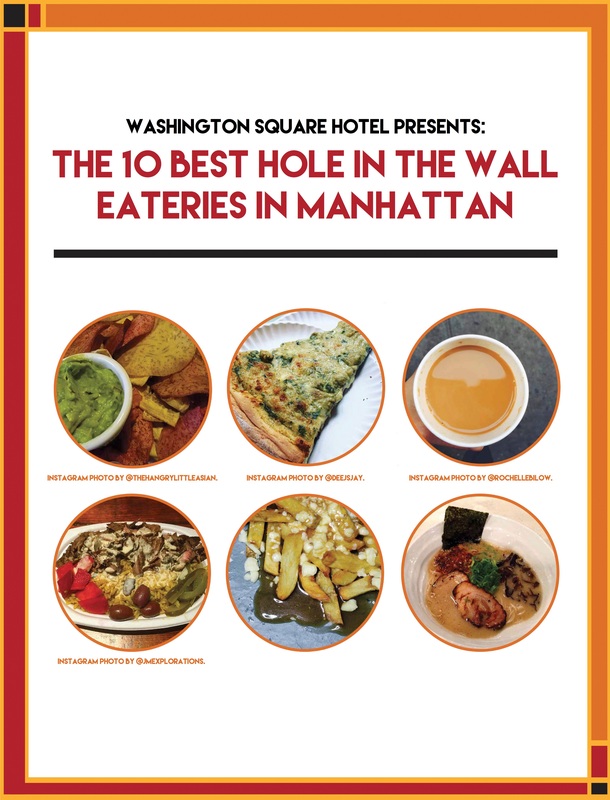 Names of 10 delicious hole in the wall eateries in middle and lower Manhattan. Photos of food from each of the locations. Suggestions on what to order. An interactive Google Map with each of the locations listed, making these hole in the walls a little less hard to find. From Pomme Frites down in the East Village to El Sabroso in Midtown, this list of hole in the wall eateries will have you salivating in no time. Even if you’re just visiting our delicious island—fake it ‘til you make it, as they say: it's time you checked out the local scene for great grub. This free ebook covers a variety of flavors—the one thing they all have in common is that you’ll be full for less than 10 dollars. These eateries are perfect if you’re looking for a more low-key evening.